When patients want expert-level, dedicated care for their feet, they go to Grand Central Foot Care. With over three decades of experience serving families in Midtown East, Murray Hill, and the surrounding New York City area, the staff at Grand Central Foot Care is uniquely positioned to deliver the best, most comprehensive care for whatever is ailing your feet. Grand Central Foot Care is led by Les J. Glubo, DPM, FACFAS. Dr. Glubo is one of New York City’s most experienced, sought-after podiatrists. With every patient, his goal is to find solutions that enable them to live their lives pain-free. 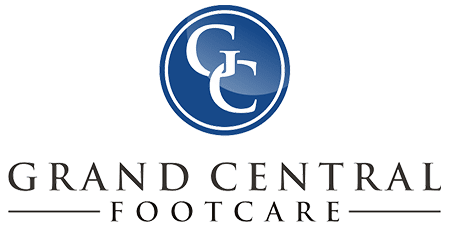 The entire staff at Grand Central Foot Care is committed to marrying the best, most innovative medical treatments with warm, compassionate care so that every patient gets the right solution for their feet — and their lifestyle. Grand Central Foot Care treats a wide variety of conditions and injuries, including tendinitis, bunions, plantar fasciitis, ingrown toenails, ankle sprains, diabetic foot care, and athletic injuries. If you need reconstructive foot surgery, the caring staff at Grand Central Foot Care can walk through every step of the process with you. In fact, they specialize in hard-to-treat foot problems. Not content to rest at the top, Dr. Glubo and his team continually pursue ongoing education and keep the highest levels of accreditation. If you would like to learn more about Grand Central Foot Care or set up your first appointment, call or fill out the online form today. "The visit could not have been any smoother and I highly recommend Dr. Glubo for your footcare!" "If you are ever at grand central and need to get your feet checked out go here. He is a pleasant guy to talk to while going through an uncomfortable experience." "Dr Glubo is a fantastic podiatrist. He healed a number of foot problems I have had over the years and he recently made the most terrific fitting arch supports." "Dr Glubo is great at fixing feet. He is also gentle and kind. Bonus - the appointments run on time! No time wasted waiting in the waiting room." "I have been seeing Dr. Glubo for several years and have been very happy with him and his practice." "Dr. Glubo is a kind, gentle doc. He kept me calm through thick and thin. I highly recommend him!" "Dr. Glubo is wonderful. His bedside manner is amazing and he really takes the time to help you." "Went today , fast, efficient and effective. I feel lucky I found Dr Glubo." "I highly recommend Dr. Glubo and his team."